Get ready for winter fun during Hague's Winter Weekend: Feb. 15-17, 2019! 8am-11am - Firemen's Breakfast, $12 adult and $6 kids, Mary C. Beste Scholarship Awards, Rotary Silent Auction. 10am-4pm - Hague Fish & Game Tug o' War, Hatchet Throwing, Chainsaw Competition. Food for sale at clubhouse 11-4. 6pm - Annual Chili Bake @ H.V.F.D. sponsored by NLG Realty, $10. If you want to enter a chili call Katy @ 543-3020. Music w/ Loose Monkeys from 7-10. 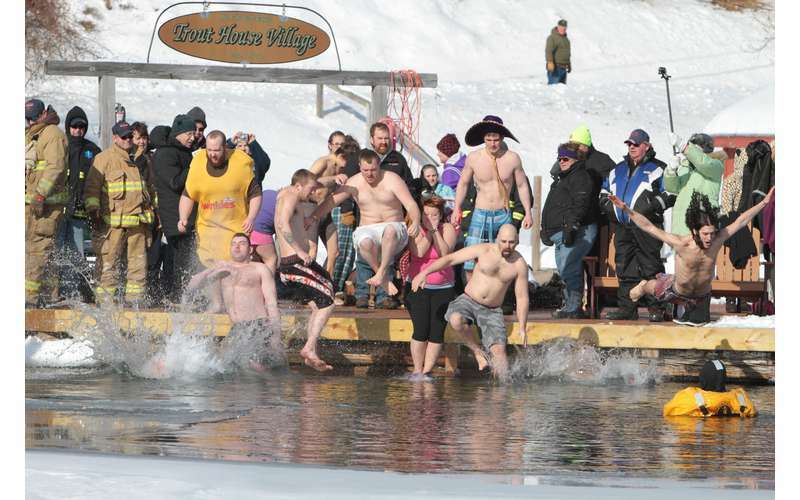 2pm - Polar Plunge for Vermont Children's Hospital & WOKO Big Change Roundup sponsored by The Hague Sno-Goers @ Trout House Village Dock. Registration starts at 1pm. Following the Plunge people are invited back to H.V.F.D. for the Awards. Food will be available for sale.